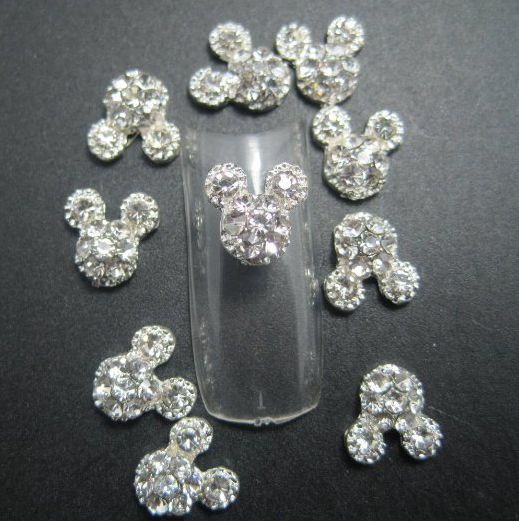 Mickey Mouse Nail Art 3d Alloy Rhinestones Only $2.32 + FREE Shipping! You are here: Home / Great Deals / Amazon Deals / Mickey Mouse Nail Art 3d Alloy Rhinestones Only $2.32 + FREE Shipping! We have a great deal on nail art for all you Disney fans! Right now, you can get this Mickey Mouse Nail Art 3D Alloy Rhinestone Kit for just $2.32 + FREE shipping! This would be super cute on your manicure, especially if you’re headed to Disney World or Disneyland this summer!